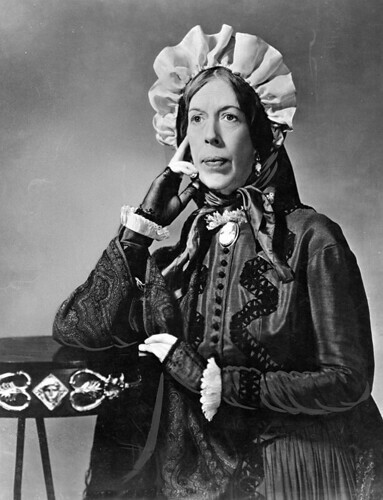 Character actress Edna May Oliver played many a strong-willed matriarch in her career. Here she is as Mrs. McKlennar in Drums Along the Mohawk (1939). Edna May Oliver delighted audiences throughout the 1930s and 1940s with her witty portrayals of independent women in literary adaptations, murder mysteries, and even Westerns. The New York Times critic Frank S. Nugent summed up her appeal in three words: "She is grand." Edna May Oliver (bottom center) joins a list of who's who at MGM. Oliver was born Edna May Nutter on Nov. 9, 1883, in Malden, Mass., to Charles Edward and Ida May Nutter. Oliver came from a distinguished New England family. It's widely reported that she was a descendant of U.S. President John Quincy Adams, but that was probably the invention of an over-eager studio publicist. Oliver is listed as a descendant of Adams in her New York Times obituary, but I could find no evidence of this in the Adams' family genealogy. Both the Nutters and Mays are old New England families, so there are probably ties with the Adams family just not as close as reported. 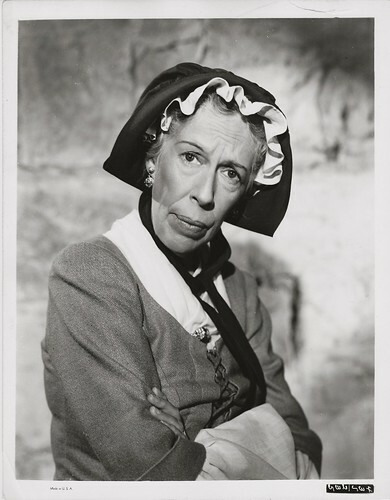 Edna May Oliver as Aunt Betsey Trotwood in David Copperfield (1935). Oliver had a beautiful singing voice and she studied piano, voice, and dancing as a child and appeared in several amateur theatrical productions. Oliver left school when she was 14 to pursue an acting career. At first, Oliver had trouble finding work so she took odd jobs as a milliner's assistant and a pianist. Oliver joined a light opera company in 1900, and she made her Broadway debut in 1917 in Jerome Kern's musical, Oh, Boy! Oliver was a versatile actress and she played a wide variety of roles on Broadway, including tragic roles in Ice Bound and The Master, although Oliver was best known as a comedienne. In fact, Oliver always said that her distinctive looks made comedy her only option. She often joked that "with a horse's face, what more can I play?" 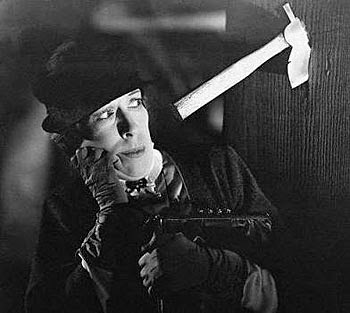 Edna May Oliver played amateur sleuth Hildegarde Withers in three films. Oliver created the role of Parthy Ann Hawks in the original production of Show Boat, which gained her the attention of Hollywood talent scouts. Oliver was one of RKO Pictures most reliable players in the early sound era, appearing in classics like Cimarron (1931) and Little Women (1933), but she was most beloved for appearing as spinster sleuth Hildegarde Withers in three murder mysteries: Penguin Pool Murder (1932), Murder on a Blackboard (1934), and Murder on a Honeymoon (1935). 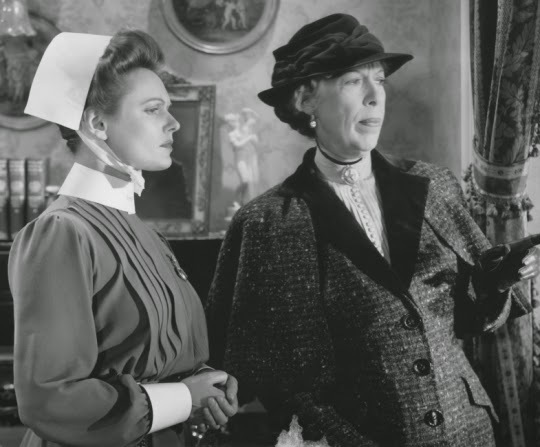 Anna Neagle and Edna May Oliver in Nurse Edith Cavell (1939). 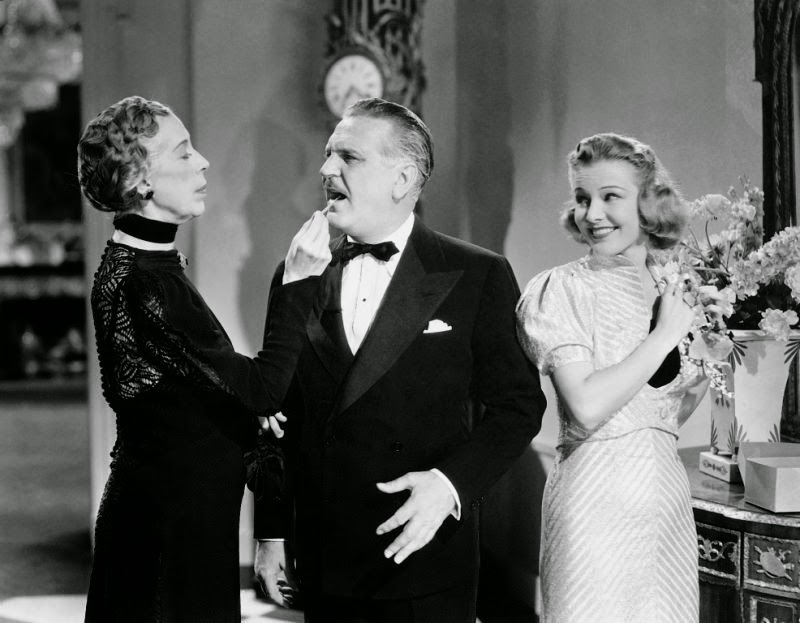 Oliver moved to MGM in 1935 and producer David O. Selznick cast her in two Charles Dickens' adaptations: She played Aunt Betsey Trotwood in David Copperfield (1935), and Miss Pross in A Tale of Two Cities (1935). Oliver's favorite role during this time period was playing the Nurse in Romeo and Juliet (1936). Her work received a rave review from Times critic Nugent. He wrote, "Edna May Oliver, the very nurse of the bard's imagination; droll, wise, impish in her humor, and such a practical romanticist at that. She is grand." 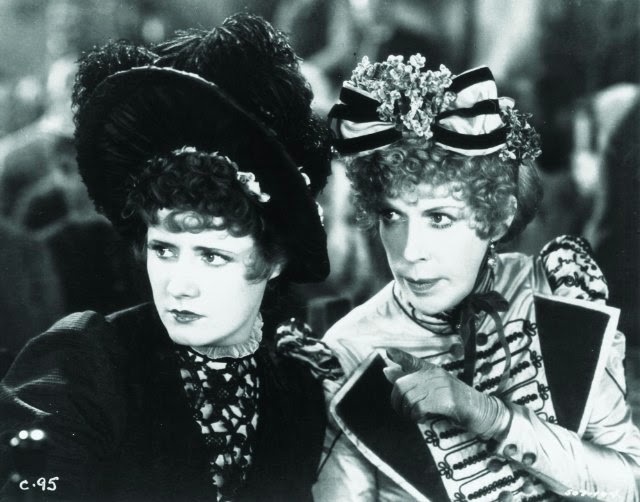 Irene Dunne and Edna May Oliver in Cimarron (1931). Oliver had a particularly good year in 1939. She received a Best Supporting Actress Oscar nomination for playing the strong-willed Mrs. McKlennar in John Ford's Revolutionary War drama, Drums Along the Mohawk ,and she also had memorable turns in Fred Astaire and Ginger Rogers last RKO feature, The Story of Vernon and Irene Castle, and the World War I drama, Nurse Edith Cavell. Oliver retired in 1942 after taking on two of her most famous roles. She played Lady Catherine de Bourgh, the domineering aunt of Mr. Darcy (Laurence Olivier), in Pride and Prejudice (1940). The clip above features Lady Catherine in a confrontation with Elizabeth Bennet (Greer Garson) over Darcy's future. Oliver's final role was as the grandmother of a spoiled Boston socialite (Merle Oberon) in Lydia (1941). Oliver died on her 59th birthday, Nov, 9, 1942, in Los Angeles after suffering from an intestinal ailment for about a year. Her ashes were scattered at her family home in Malden. Very nice profile of a fine supporting actress. My favorite of her performances is indeed as Lady Catherine in P&P. Thanks! Edna May Oliver has always been one of my favorites too!